The story of the Dome’s chandelier has always intrigued me. The huge glass chandelier was certainly removed during the 1930s when the building’s famous Art Deco interior was added. It is said though that pieces of the chandelier were divided up as souvenirs amongst the builders that were carrying out the work. I would think that the story is true but I have no idea of the whereabouts of any of the bits and whether or not they can easily be identified. Another fascinating tale, not local this time, is that of the Baltic Exchange which was severely damaged by the IRA. For years, its marble and granite façade was strewn around the English countryside awaiting a buyer. It was eventually bought and shipped to Tallin by an Estonian businessman hoping to reconstruct the grand structure in its spiritual homeland. 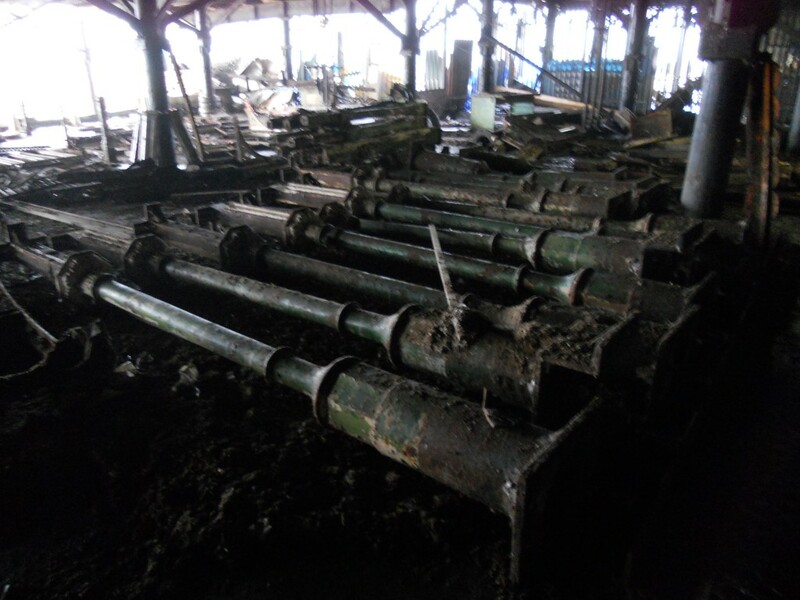 A pile of pieces of West Pier steadily grew over a number of years in the compound beneath the shore end of the iconic structure. No doubt the plan was to reconstruct the pier one day but fires in 2003 and a storm in 2004 dashed all hopes of that ever happening. 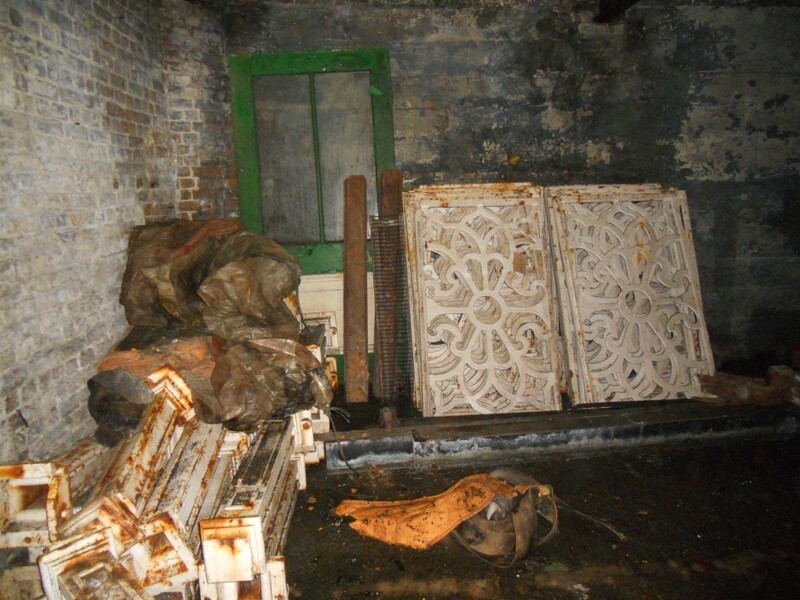 The compound will need to be cleared anyway in the event of the i360 being built so a decision was taken by the West Pier Trust last year to sell the many fragments. I met the trust’s Chief Executive, Rachel Clark, in February at one of the sales. All sorts of treasures were being sold. Seat backs and kiosk windows from 1866 were available for £150. I would have loved to buy an iron arch but decided against it in the end, probably because I was on foot that day. Many smaller items were for sale too including pieces of gutter at £40. A staggering number of relics were on display in the cavernous compound and much still remains despite 65% having been sold already. Some of the most important pieces have been set aside for the West Pier Heritage Centre which is planned as part of the i360 development. In the meantime, an impressive exhibition on the West Pier is being held at Brighton Fishing Museum. So many of the pieces of the West Pier are instantly recognisable and I have no doubt that I will be spotting fragments in use as outdoor ornaments in Brighton gardens for the rest of my life. Now where’s that chandelier?